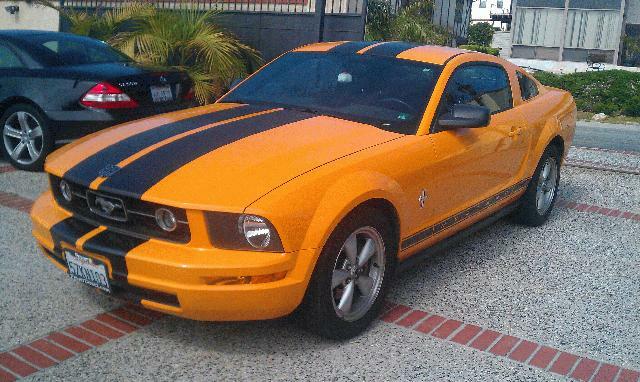 Orange with Black Racing Stripes - Looks like a Mustang Shelby! V-6 Engine with Muffler Sounds like a V8! New Clutch has less than 2000 miles on it!